A simple step to helping curb opioid abuse would seem to be stemming the supply of the highly addictive medications to people who become dependent on them. 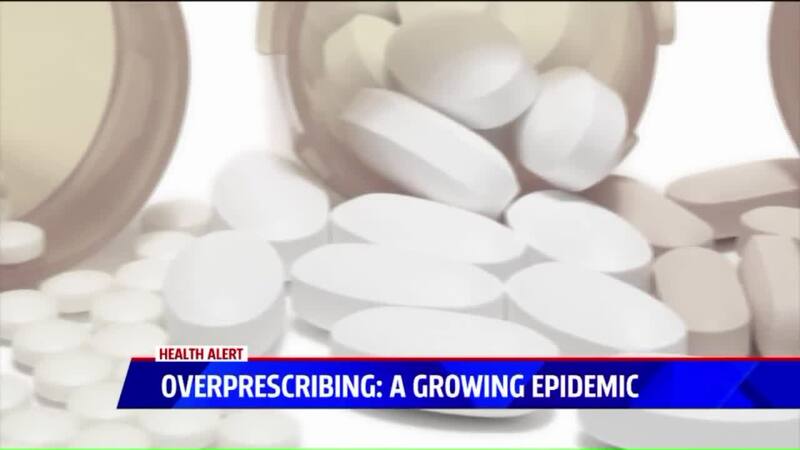 But a new study suggests that even after patients have been hospitalized for drug abuse or overdose, doctors continue to write them prescriptions for opioids. More than 1 in 5 patients treated in hospitals for conditions related to reliance on opioids filled opioid prescriptions within 30 days of their release, according to findings published in the Psychiatric Services in Advance. The research comes after years of growth in the number of opioid prescriptions written and as the number of Americans addicted to prescription painkillers, heroin or both has skyrocketed. The increases have resulted in more emergency room visits and more deaths. Each day, 46 people die from an overdose of prescription painkillers in the U.S., according to the Centers for Disease Control and Prevention. The situation has raised concern among doctors about prescribing patterns – mainly that physicians are too widely distributing the medications. In 2012, health providers wrote 259 million prescriptions for painkillers, nearly enough for everyone in America. The researchers behind the study pulled insurance claims data from the Truven Health MarketScan Commercial Claims and Encounters database. Using that data, they looked at patients with an opioid-related hospital admission, then followed their prescription claims to see what prescriptions the patient filled in the 30 days after release from care. Of those patients, 22 percent filled an opioid prescription in the month after they left the hospital. In fact, more patients filled a prescription for opioids than filled medications that have been shown to help them stop abusing painkillers. The researchers hypothesize that the doctors writing the prescriptions weren't informed about the hospitalization. Currently, in many states, an addict can go from doctor to doctor in order to get new prescriptions, meaning that no doctor has a true picture of the patient's history with medication. If a patient were hospitalized, he or she could go to another doctor without needing to share information about overdoses or abuse. Indeed, creating databases to track the prescribing of painkillers has been a popular suggestion for curbing opioid abuse. Many states have pushed through efforts to develop prescription-drug monitoring programs. But even with a database in place, forcing doctors to check it is another matter. Prescription patterns among doctors in different states have also long varied. Southern states in particular have high rates of painkiller prescriptions, according to the CDC.